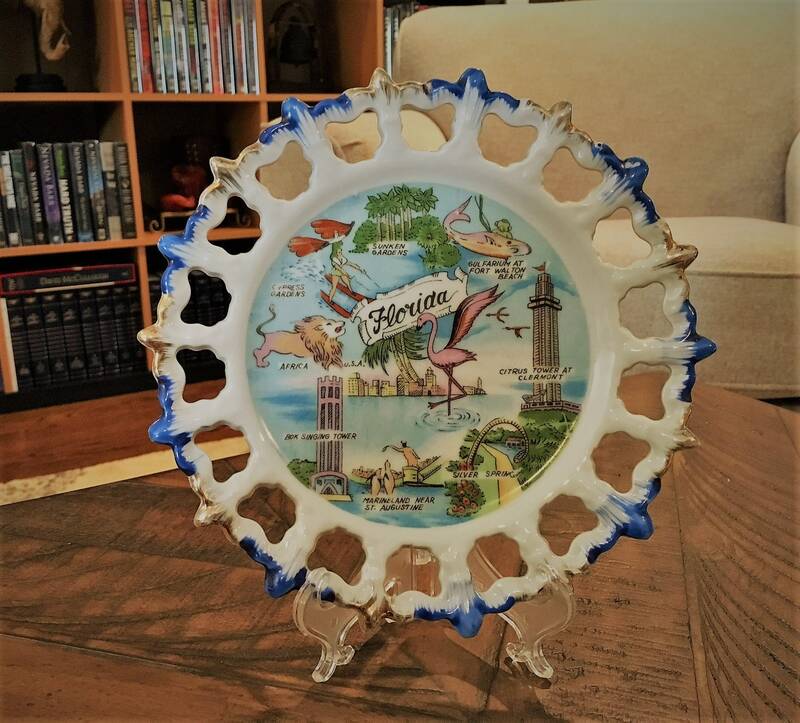 Features is a cool retro souvenir plate from Florida. 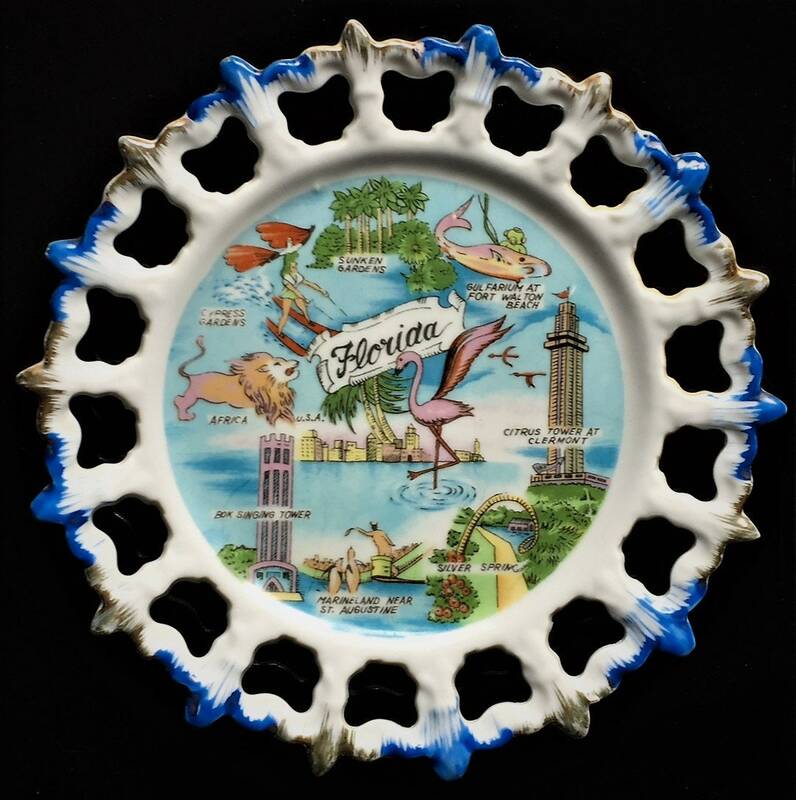 Awesome color and graphics and open edge design, this collectible wall plate is about 8 inches in diameter. Excellent vintage condition, this ceramic plate is free from any chips or cracks.